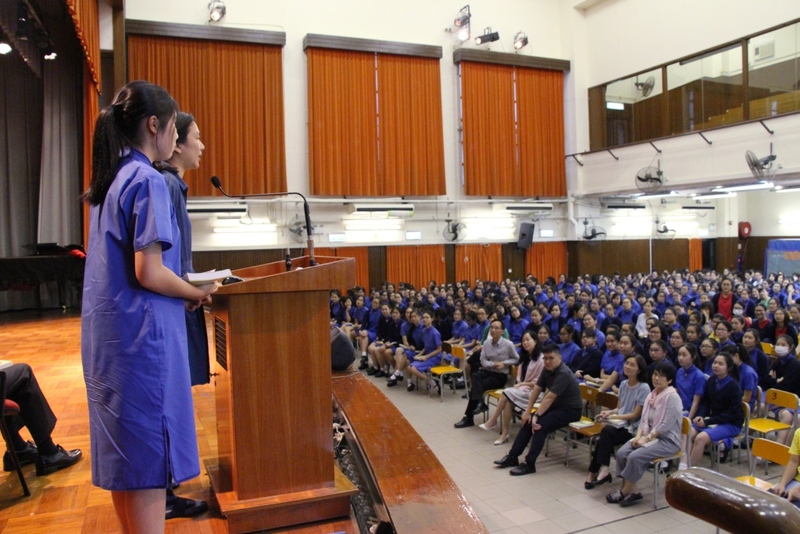 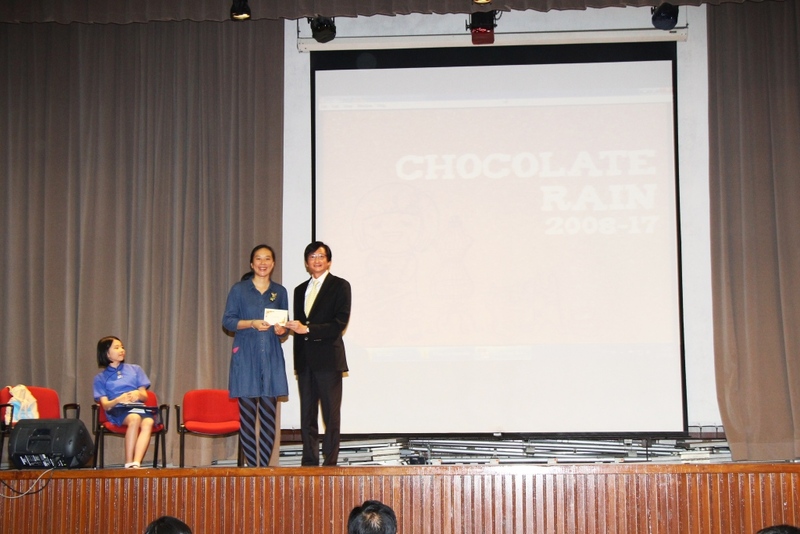 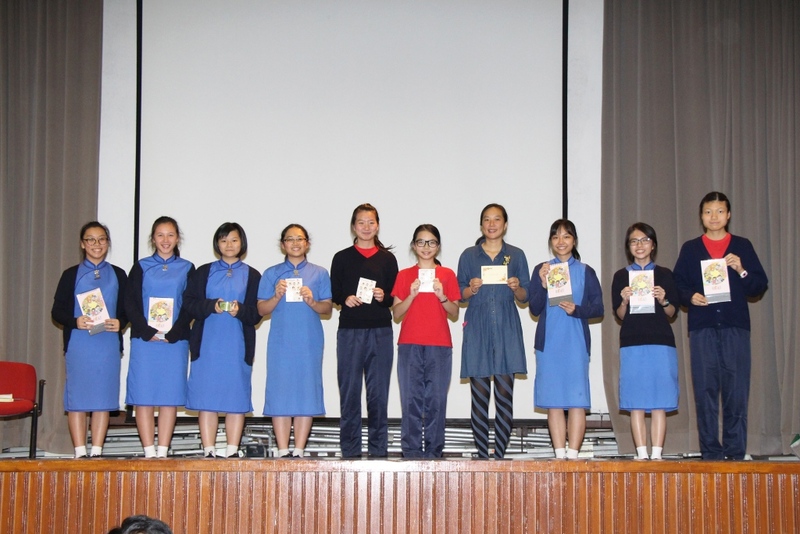 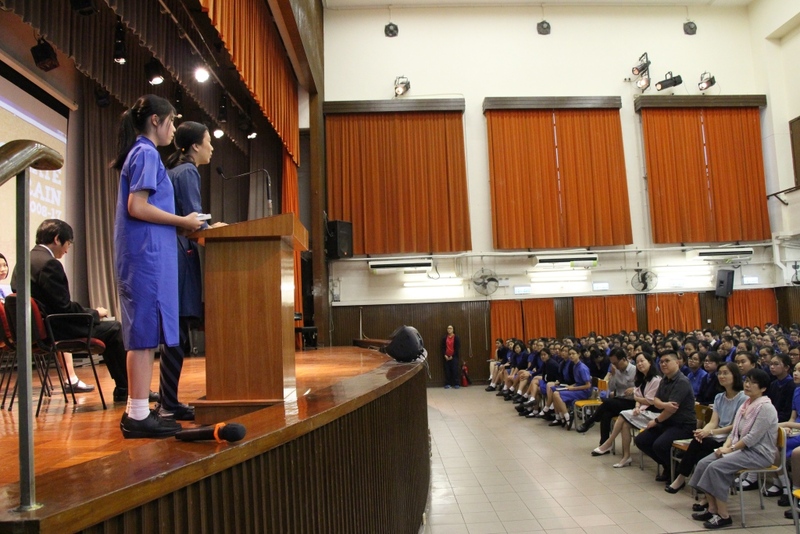 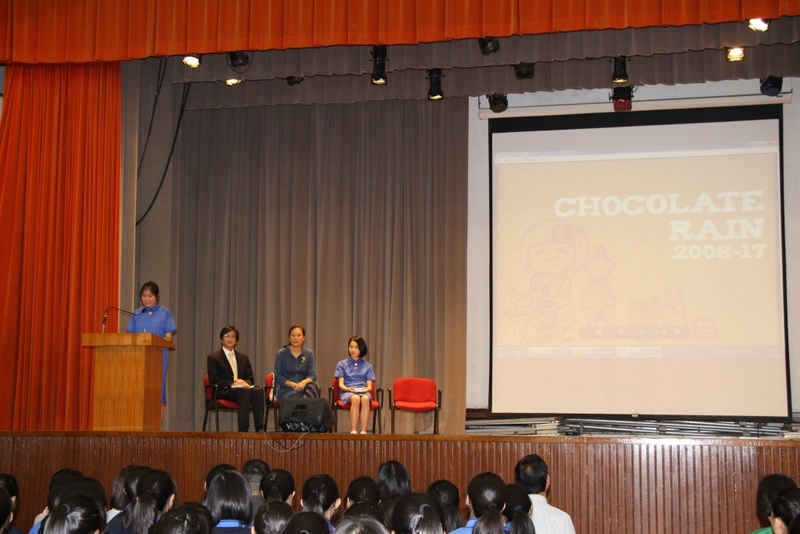 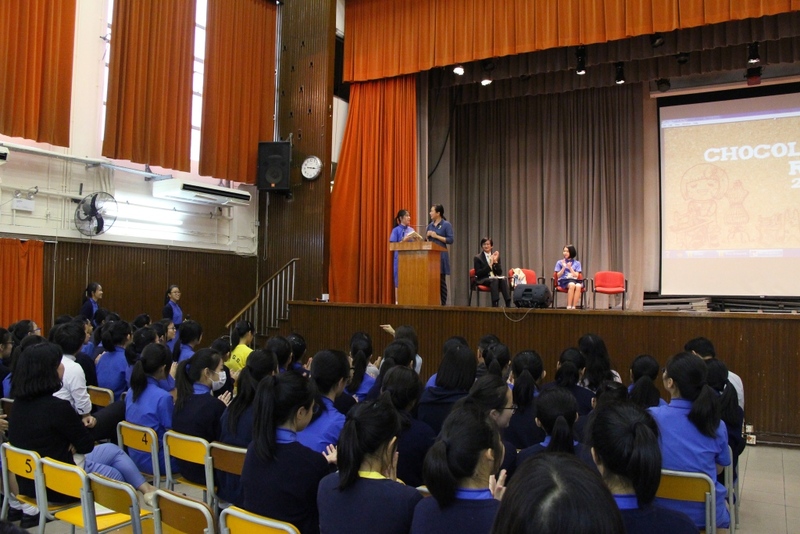 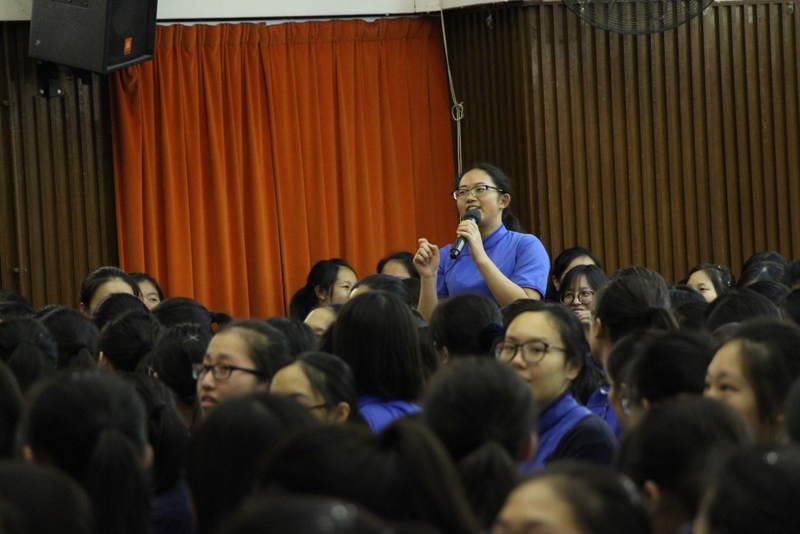 Ms Prudence Mak, a local artist and the Founder of Chocolate Rain, delivered a talk in the afternoon assembly on 27 October. 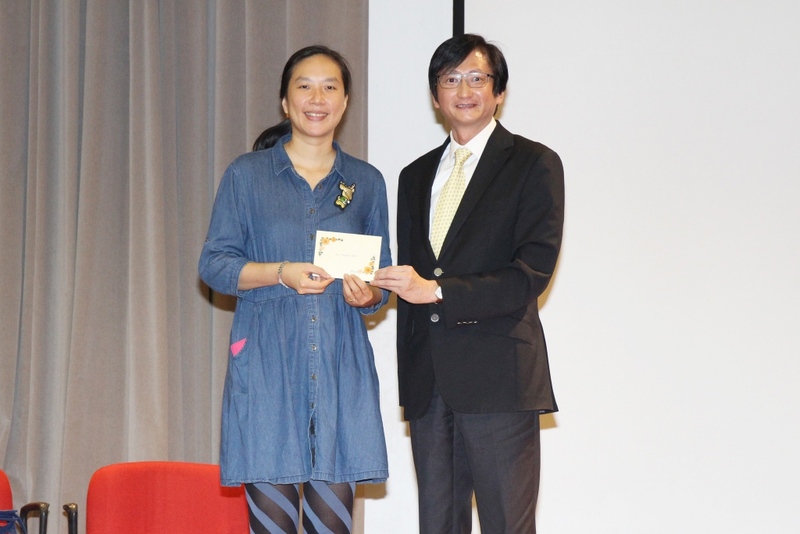 In her candid talk, she shared about her humble beginnings and her thorny road to becoming a successful entrepreneur. 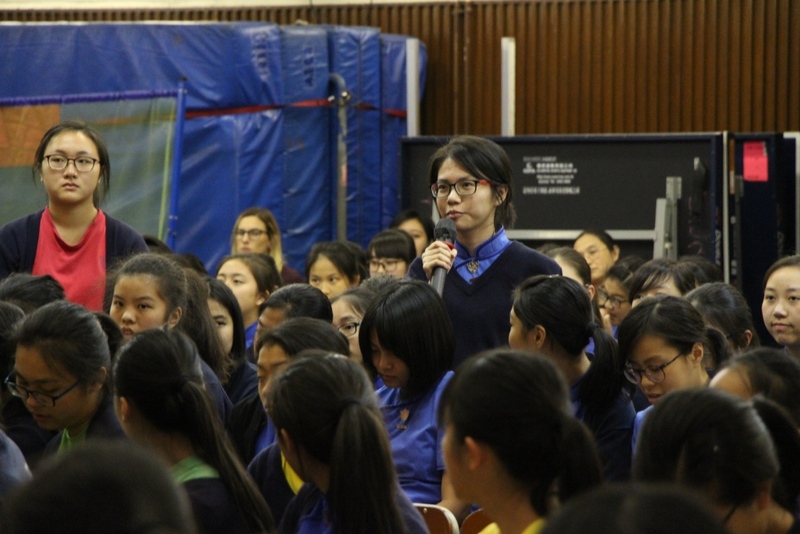 Her designs did not get much attention in the local market at the beginning. 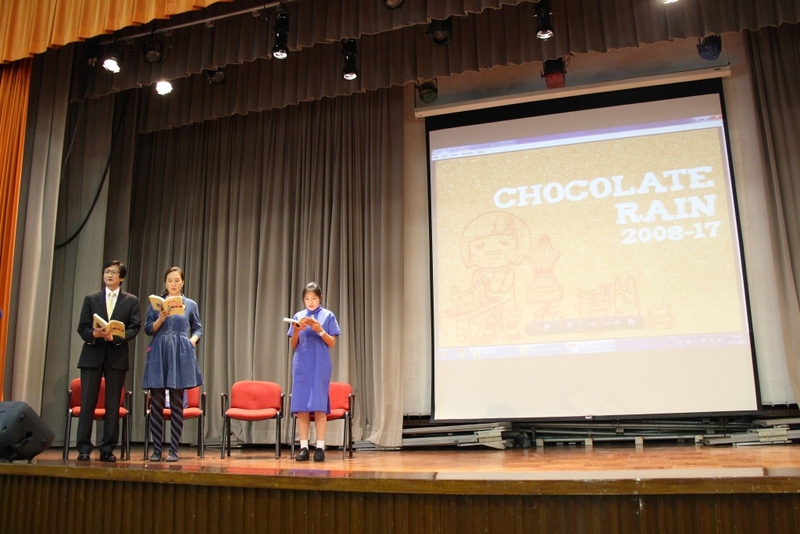 However, with perseverance, Chocolate Rain eventually succeeded in developing many crossover projects and her products are now exhibited and promoted widely. 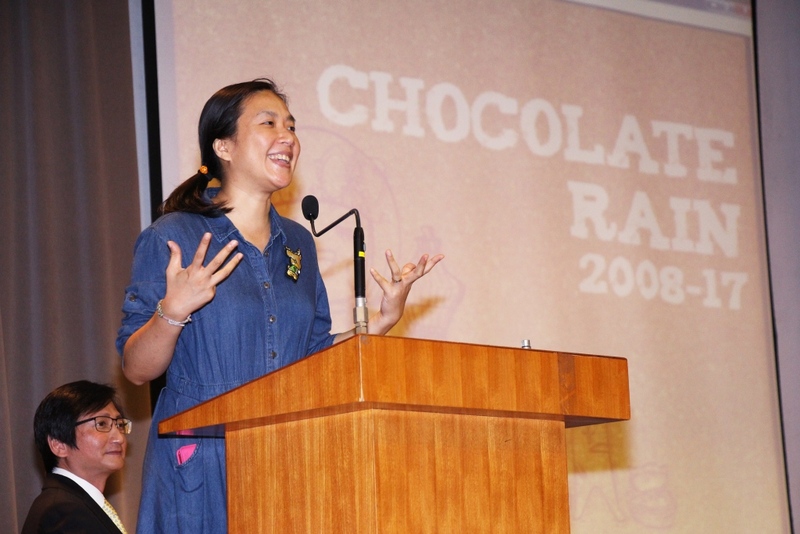 Her story taught our students to be resilient and resourceful in the face of adversity, and they raised many questions about how to come up with more and more original Chocolate Rain designs, how to soldier on in the pursuit of a dream in art and design, and how to venture into business with limited resources.